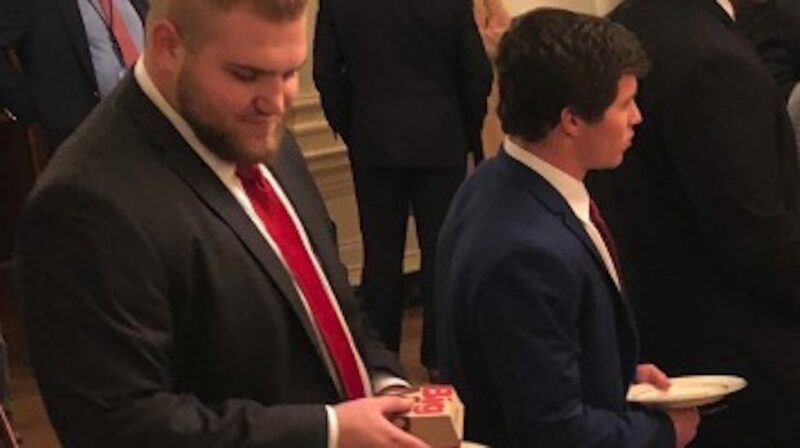 There were plenty of jokes to come from the fast food buffet that Donald Trump served to the Clemson Tigers football team during their visit to the White House on Monday. Among them was a meme of Tigers offensive lineman Matt Bockhorst holding two Big Macs in his plate while staring at the rest of the food with a big smile on his face. And Bockhorst had an answer for every one of them. Yes, Bockhorst is a lover…a lover of food! Check and mate. Well played, young man.